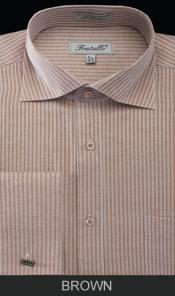 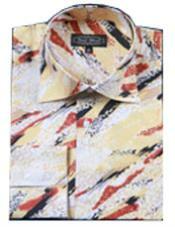 A Large Selection of Mens Dress Shirts.A good dress shirt can do so much for any man's mood. 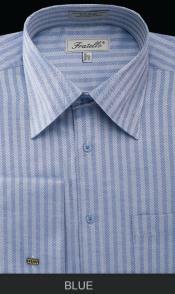 Spread collar dress shirts can be particularly good for confidence boosts. Spread collars, in brief, are equipped with broad collar points. 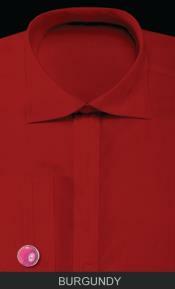 They don't point downward but rather in outward directions. Spread collar shirts are particularly flattering on men who have narrow visages. 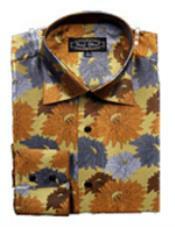 They can also work well on any men who have penchants for contemporary flair, however. 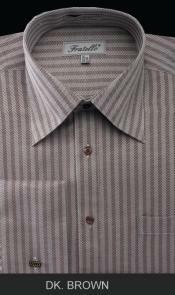 If you want to explore the finest selection of men's spread collar dress shirts on the Internet, you're in the right place. 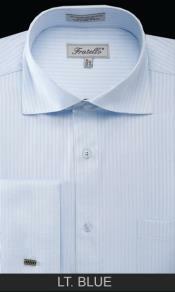 Our men's spread collar dress shirts are durable, timeless and fresh all at the same time. 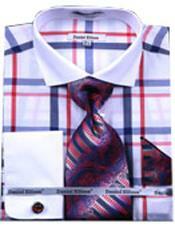 MensItaly gives shoppers many amazing choices in wide spread collar dress shirts. 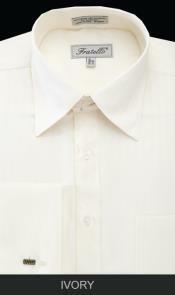 If you want to buy an enduring dress shirt that's reminiscent of the classic film star Douglas Fairbanks, we can accommodate your wishes. 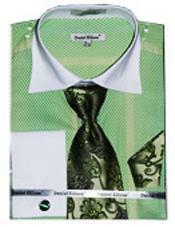 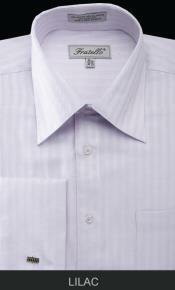 Our mens fitted dress shirts work well on individuals who appreciate bigger necktie knots. 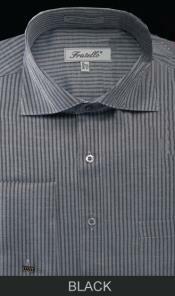 We carry mens fitted dress shirts that are ideal for those who like to showcase their personal style preferences and goals. 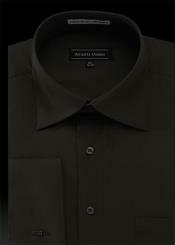 Our spread collar dress shirts are ideal for those who want others to sense their boldness and poise, too. 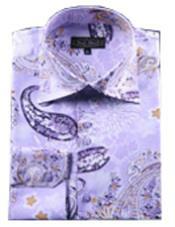 Our retailer provides shoppers with so many interesting, cool and fashionable choices in mens dress shirts. 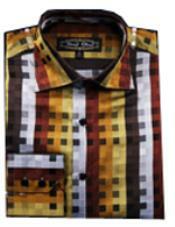 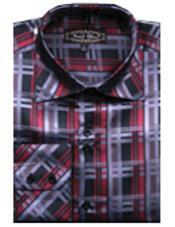 We stock dress shirts that feature interesting checkered patterns. 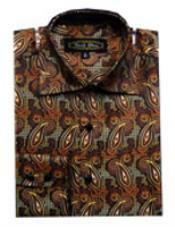 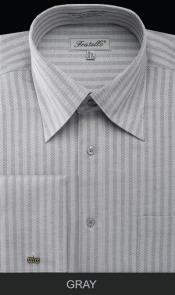 We stock dress shirts that come with all sorts of unforgettable features and benefits as well. 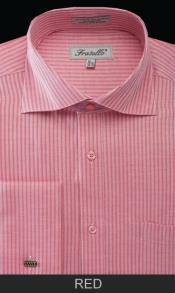 It doesn't matter if you love French cuffs, the texture of satin, eye-catching stripes, the comfort of cotton or anything else. 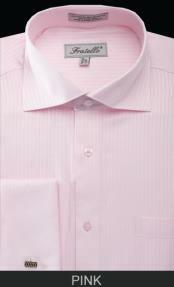 Our mens high collar dress shirts can cater to all of your wishes. 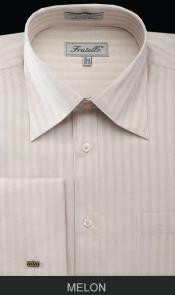 If you're shopping for high-quality mens dress shirts online, it can never hurt to have many diverse color options accessible. 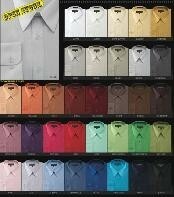 Our shop makes a point to give customers all sorts of choices in colors. 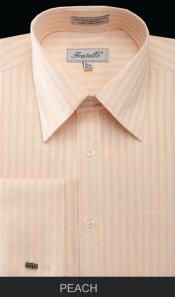 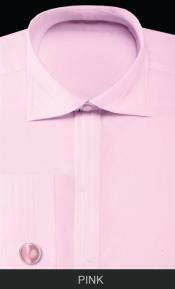 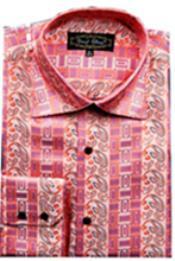 We sell chic mens dress shirts in all kinds of pastel tones. 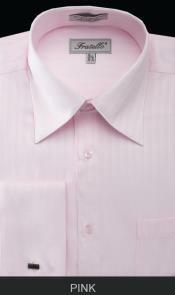 Men who appreciate the softness of pastel pink can't resist our offerings. 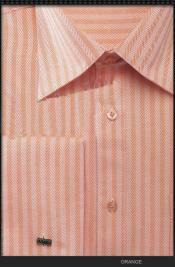 We sell dress shirts in orange, pink, red, mustard, ivory, lilac, gray, blue, beige, deep brown, black, mint green and burgundy, too. 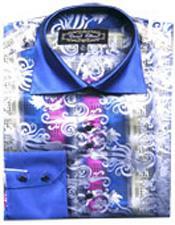 Shoppers who want to explore the most extensive and detail-oriented mens dress suit collections on the Internet can always bank on MensItaly, home of the best zoot suit, double breasted suit, and mens overcoat options. 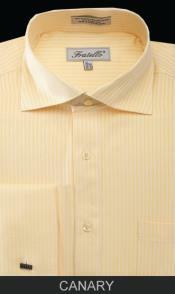 We focus on mens dress shirts that are simultaneously inexpensive and strong in quality. 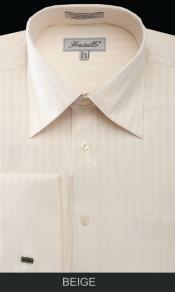 Our mens dress shirts are made of some of the toughest, most dependable and most resilient materials around. 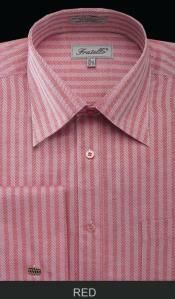 They display craftsmanship that cannot be surpassed. 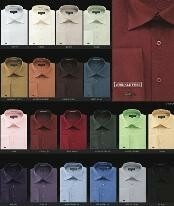 That doesn't mean that they're not 100 percent affordable, however. 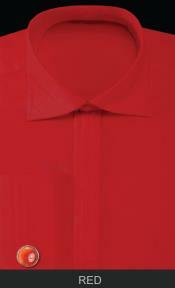 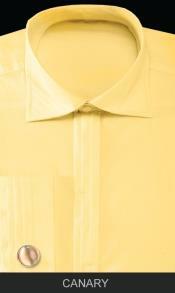 We make a point to sell mens high collar dress shirts that combine great prices with excellent quality. 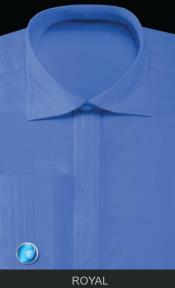 If you want to buy a light blue spread collar shirt that feels comfortable and that won't break the bank, you can count on MensItaly. 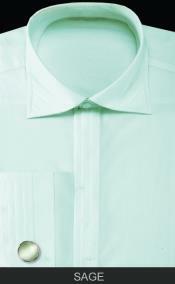 Top quality is always our number one goal.